5 am start, first cast , 4lb Wrasse. A great test for my new light outfit: rod 7g-25g, reel 3000 size. Well Danny….you’ve no idea how jealous I was reading your text early doors this morning…. 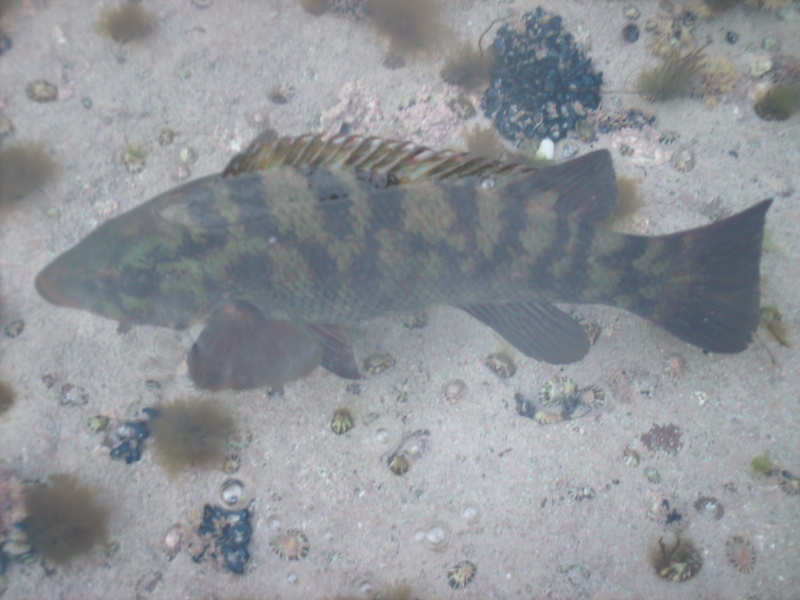 Nice lookin wrasse…I bet he put some bend in the new rod!! Nice wrasse Danny,, whats the new light setup like, thinking of getting a new light rod myself for the sp’s, what did you go for?? I went for the Teklon Concept Spin 702L and a Twin Power 3000 SFC. I absolutly love it ! I won’t be using anything else from the shore this year for all my lure fishing. Its extremely light in your hand, I did two full days on the top water lures Thursday and Friday and noticed no fatigue in my wrist at all. It casts very well too for a short rod and is a dream to use with the sp’s.